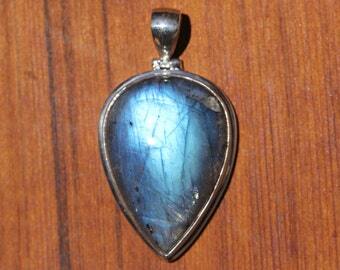 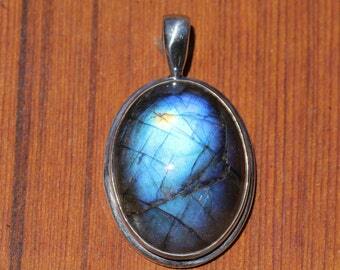 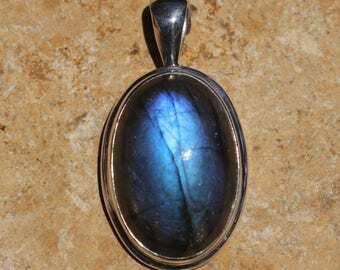 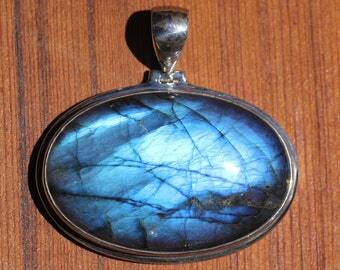 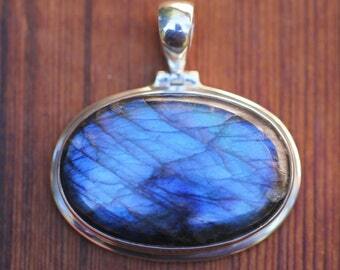 This is high quality Labradorite with silky blue, full facing-bright fire. 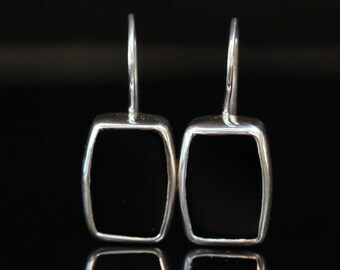 Its been double bezel set with a fixed bale in solid sterling silver. 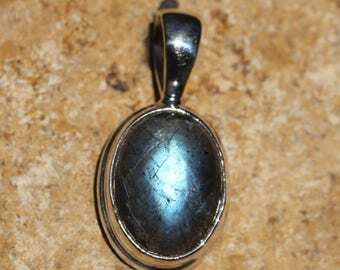 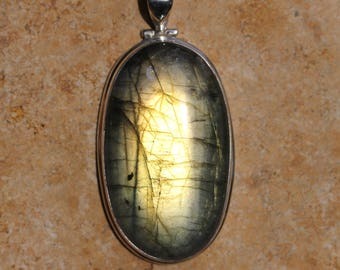 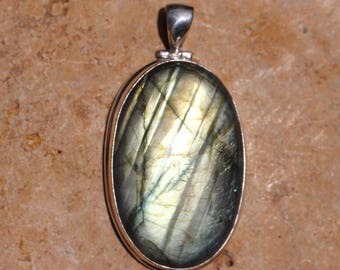 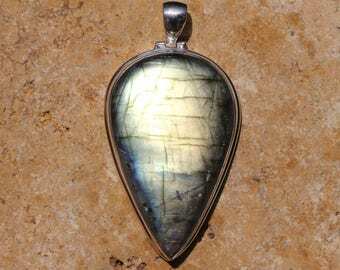 Labradorite stone alone measures 34 x 24 mm. 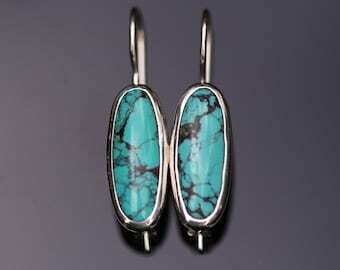 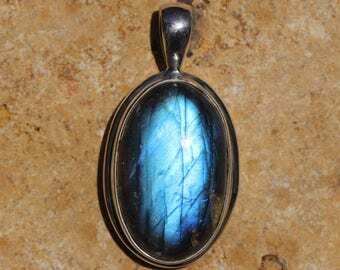 This stone has perfect, silky bright electric blue labradoresence. A deep, rich, full faced and well centered fire. 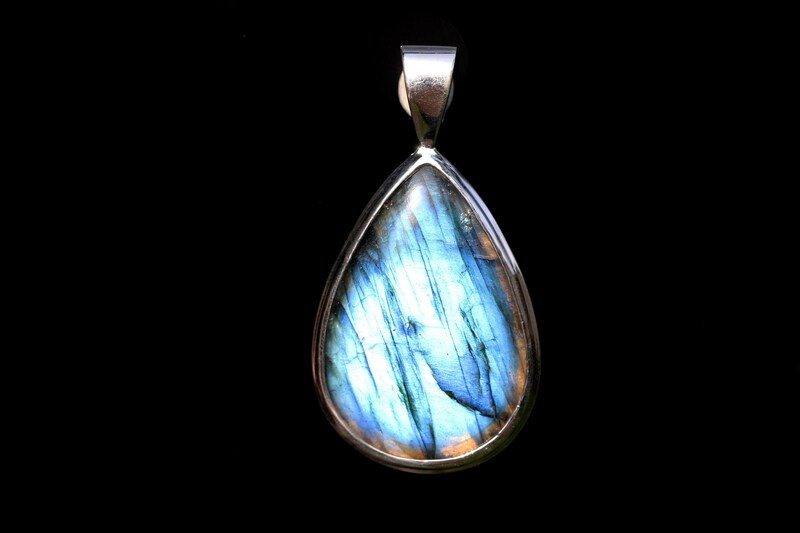 The entire face of the stone lights up with a strong and unobstructed chatoyancy. 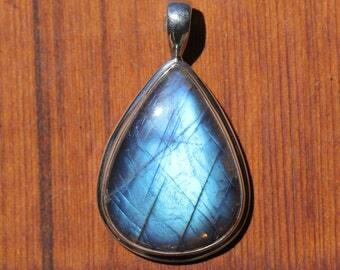 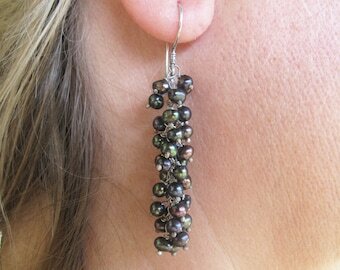 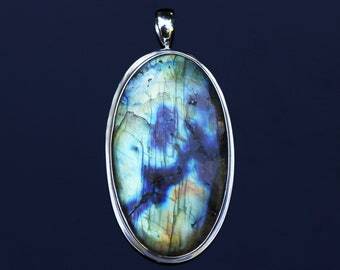 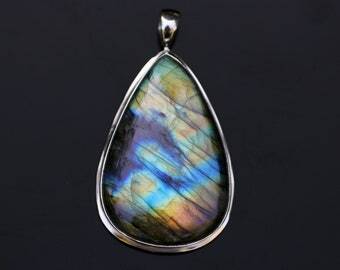 This represents some of the best in blue Labradorite.